Take a look at this picture, I took it this afternoon at 2:45-pm from my balcony. 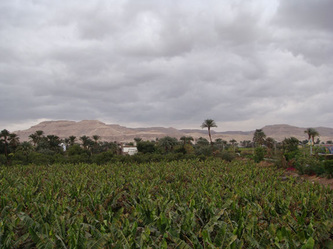 It is quite unusual in Luxor and has never seen such a cloudy day before in Egypt. I am sure it will rain. I had a great day yesterday on Hesham's felucca along with his helpers Mamoud and Mohamad. 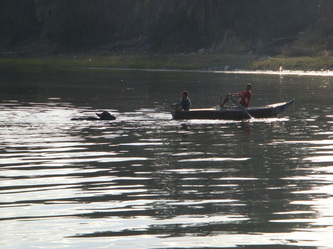 I took on board some chicken and food and they cooked it when we stopped off at an island opposite Banana Island. We had very good wind and the sail was probably the fasted I have experienced. 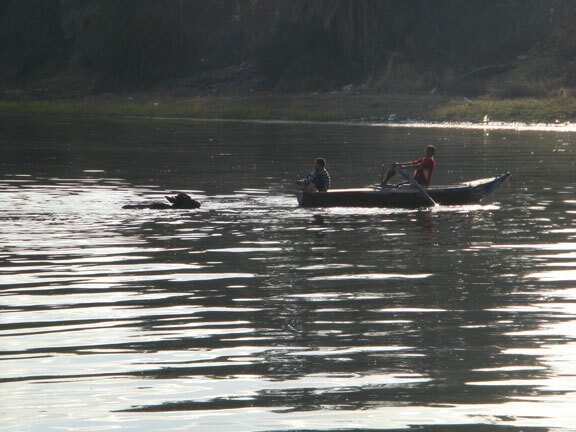 There were some buffalo's on the island and I watched, as they were lead to swim ashore. 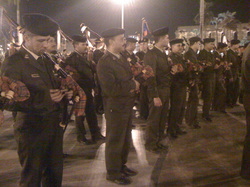 In the town yesterday there was an Army Band playing Bag Pipes, it was a celebration to the wind of the Nile. The band marched through the town and ended up at the square in front of Luxor temple. There, they put on a display while playing the bagpipes. It was very good indeed and all the people watching were very happy.